In his pupilage year, BabyBarista learned the hard way that dirty tricks and a faulty moral compass are essential items in a young lawyer's briefcase. Now, as the newest tenant in chambers, he must face down old enemies, try to win compensation for a group of ASBO-attracting pensioners, and unravel the complicated knots of his love life - not to mention his mother's finances. 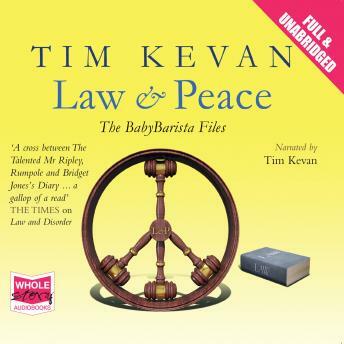 Chronicling the hilarious and sometimes almost unbelievable absurdities of the modern bar, and peopled by a cast of unforgettable characters, Law and Peace is a funny, fast-paced Machiavellian romp through the legal world.